Cycles Opening Saturday February 9th, 2019 at Catalyst Gallery in Beacon, NY 6-9pm. I’ll be showing new work from Menstrual Forms series (made from lipstick nail polish & hair. My film Better Not Set This Hat on Fire screens in Beijing in a film series programmed by Bo Wang in conjunction with Institute for Provocation. SCREENING IN BEIJING, DEC 9TH, AS PART OF "NINE DAYS TO SEE"
5pm - post midnight, Dec 9th, 2018. Location details about this event will not be posted online. Please contact Bo, The Institute or I for details. 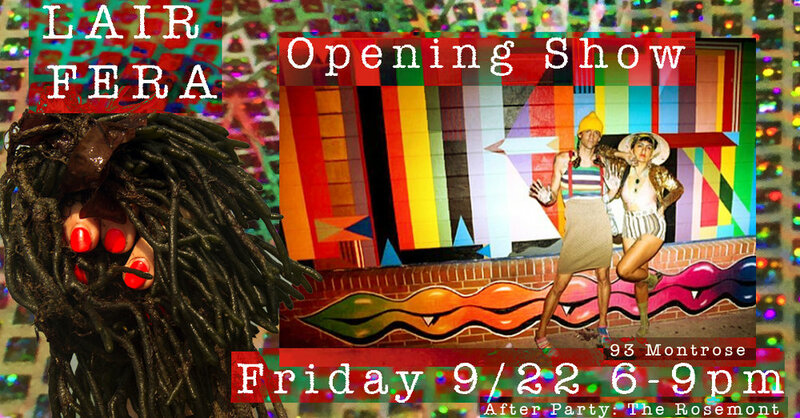 Opening Party in conjunction with Bushwick Open Studios showcasing works by Queer artists. A new mural by Monica Canilao and Xara Thustra will also be unveiled! Conceived and curated by the incredible Kim Ye. This project features my work Sea Bottom Fornicata as well as works by some of my favorite people- Ciriza and Donna Dolore! Showcasing the work of contributors to Ladyscumbag and a special screening of LSB's Hollywood debut in ANGIE, this event is truly an ouroboros. Like a snake eating its own tail, LSB decomposes the codes of femininity to create a new field of potential for femme rebirth and rejuvenation.